The lithium iron phosphate (LiFePO4) battery, also called LFP battery (with “LFP” standing for “lithium ferrophosphate”), is a type of rechargeable battery, specifically a lithium-ion battery, which uses LiFePO4 as a cathode material. LiFePO4 batteries have somewhat lower energy density than the more common LiCoO2 design found in consumer electronics, but offers longer lifetimes, better power density (the rate that energy can be drawn from them) and are inherently safer. LiFePO4 is finding a number of roles in vehicle use and backup power. where to get thunder sky winston lithium battery ? 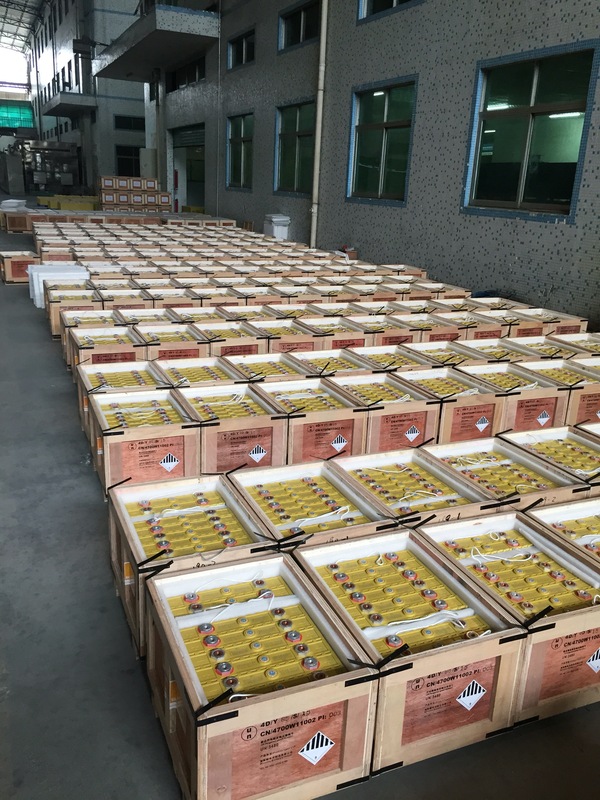 Clients who need Thundersky Winston batteries ofter have to wait more 2 months.that is because there are very big requirement on Winston battery but winston only has one factory located in Shenzhen and the prodcution capacity is limited. Thunder Sky Winston Battery Limited has build its second factory in Zhang zhou, Fu jian province,Southeast of China. the new factory production capacity would be as much as 1billion Ah high power lifepo4 battery annually. it would help clients get cells in time after they place the order.they dont need wait so much time after they placed order in future. Thunder sky Winston battery would become one of top 5 lifepo4 producer all over the world in the second half of 2016 after its second factory start production.